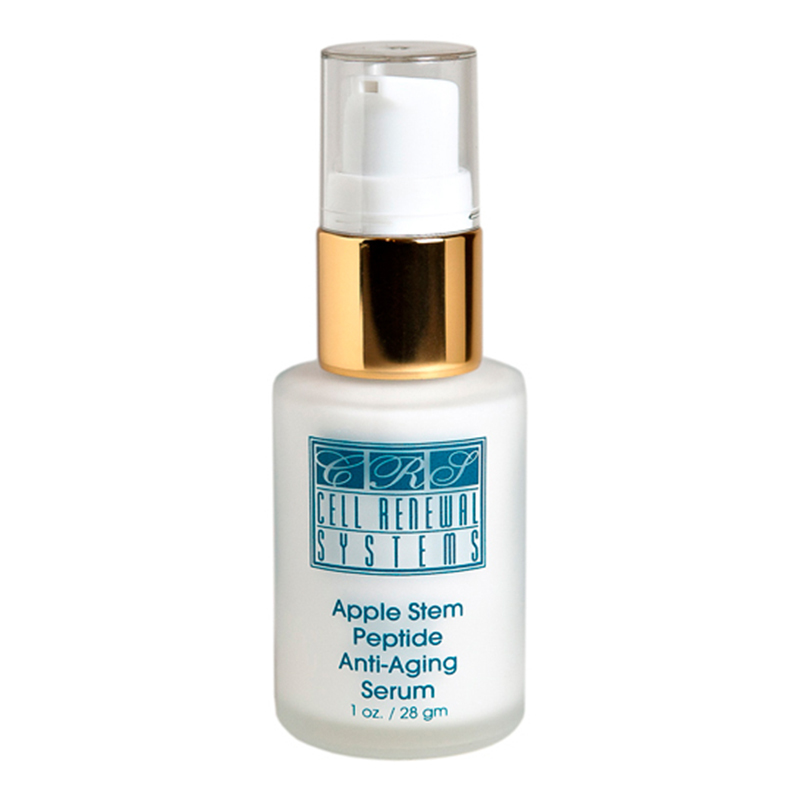 A breakthrough in anti-aging technology, an excellent and highly effective anti-aging serum. Palmitoyl Tripeptide-38 and Hydroxypropyl Cyclodextrin provide visible, proven filling and anti-wrinkle effects on the skin, and Green Apple Stem Cells protect skin stem cells. For all women, wrinkles represent a clear sign of aging that they see in their mirror every morning. Face lifts, which are major surgical procedures, are indeed effective solutions. Repeated injections of fillers, such as collagen and now hyaluronic acid, also work. However, in order to avoid the invasive nature and sometimes devastating and irreversible results of these techniques, it is possible to obtain a plumping action using sophisticated ingredients that work on the very structure of skin tissue. Apply once or twice daily. For all skin types. Aloe Vera (Aloe Barbadensis) Leaf Juice, Hydroxypropyl Cyclodextrin (and) Palmitoyl Tripeptide-38, Green Apple stem cells (Malus Domestica Fruit Cell Culture) (and) Xanthan Gum (and) Glycerin, Olive (Olea Europaea) Fruit Oil, Moringa Oleifera Seed Oil, Adansonia Digitata Seed Oil, Cetearyl Olivate (and) Sorbitan Olivate, Lecithin, Glyceryl Stearate, Corn Starch, Sweet Almond (Prunus Amygdalus Dulcis) Oil (and) Glycerin, Caprylic Acid (and) Lauric Acid (and) Propanediol, Allantoin, Chondrus Crispus (Carrageenan) Extract, Sclarea Leaf (Salvia) Oil Extract, Prunus Persica (Nectarine) Fruit Oil Extract, Jasmine (Jaminum Officinale) Flower Oil Extract, Geranium Flower (Pelargonium Graveolens) Oil, Juniper Berry (Juniperus Commonis) Oil. Rich and creamy rose scented cleanser for the very sensitive, dry or mature skin. A highly moisturizing, soothing emollient, nourishes and protects freshly exposed skin cells sensitized from Glycolic and dermabrasion. A light stimulating and detoxifying cream that supplies oxygen to tissues, eliminates the acne bacteria and pumps destructive free-radicals out of the cells. Your skin tone, color and clarity can improve dramatically with regular use. An excellent spot treatment to dissolve milia. This Eye Cream formula protects and nourishes the particularly sensitive skin surrounding your eyes.